This is the one tax man you do want to hear from! and keeping more for yourself and your loved ones. 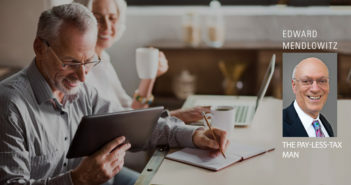 You might be able to make non-taxable gifts to charity directly from your IRA—and get additional tax benefits at the same time. Here’s how. Here are 10 ways to make charitable donations that will get you the largest tax deductions possible. There are many tax breaks that can save parents and students money on the cost of college, primary and secondary education. Here are 12 of them. 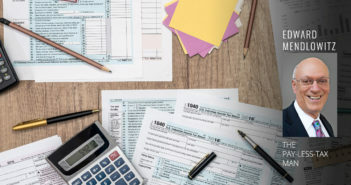 Even if you haven’t finished preparing your 2017 tax return, now is the time to consider these powerful tax-planning moves to reduce your taxes for 2018. 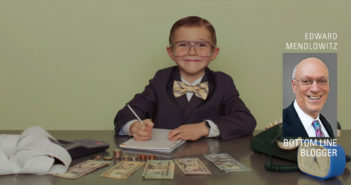 If you’re self-employed, you need to set up a retirement account yourself to cut taxes and insure your future. Here are different plans to choose from. With big tax changes coming for 2018, here’s what taxpayers should do before the end of 2017 to save on taxes. 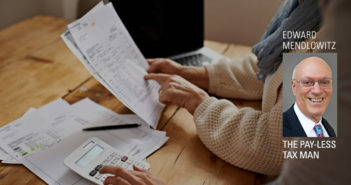 Here are 10 tax-saving moves that everyone should consider making before the year ends to save on taxes. 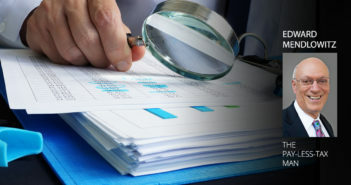 Many tax filers claim legitimate deductions only to have them disallowed because they can’t substantiate them. 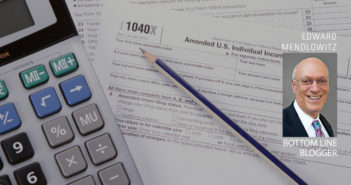 Here’s how to prove all your deductions. Out-of-pocket expenses. 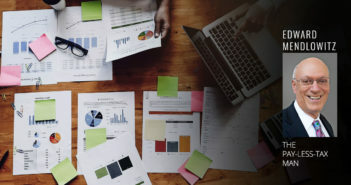 Out-of-pocket cash expenses in connection with a business or charitable organization activity or unreimbursed employee expenses do not need receipts if individual expenses are less than $75. Rather, the deduction will be permitted if you made a contemporaneous entry in a diary or computer log. Keeping track on scraps of paper is also OK. The only requirement is that it be done within a short period, such as a week, of the expenditure. You must record the amount spent, who you were with, the business or charitable purpose, where you were and the date. Many items can be broken down into units under $75—for instance, going to a restaurant for dinner is one item, having a drink first at the bar is another and the tip for checking your coats is another. The dinner and dinner tip, however, cannot be bifurcated into two separate items. Items $75 and over must be backed up with a receipt. Car expenses. Car expenses need proof of the mileage that can be made with diary entries for the mileage and for tolls and parking if you paid for these in cash. If you typically use your car for business purposes, I suggest keeping a small diary in the car and jotting down the mileage and where you are going each time you get into the car. The deduction for car use for business and employment purposes can be based on the total miles multiplied by the mileage rate the IRS issues each year. For 2017 it is 53.5 cents per mile. For medical or moving purposes it is 17 cents, and for charitable use it is 14 cents. 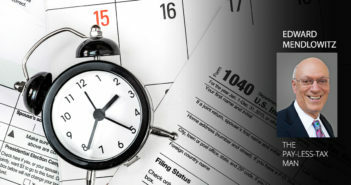 Each year’s rates are typically made available by the IRS in December of the previous year. If you want to deduct actual expenses rather than an amount based on the mileage, you can use the diary entries for entries less than $75 and will need receipts for all other expenditures. 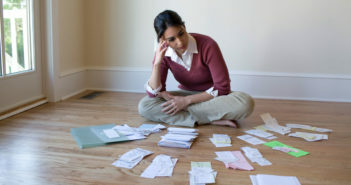 Substantiating credit card and check deductions. 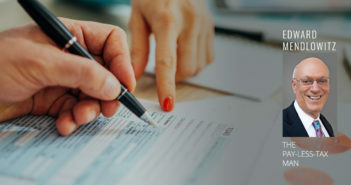 Deductions $75 and over must be backed up with a receipt or invoice, proof of the payment, business purpose, date of activity, where it occurred and who you were with if applicable. Cancelled checks and credit card receipts are acceptable as are electronic statement entries showing the amount, payee and date. If the expenditure is not clear as to what was purchased or who was the customer, you will also need to obtain an invoice. Restaurant receipts must include the number of people served. Per diem travel allowances. Employees who account to their employers for expenses and are reimbursed do not need additional substantiation for the IRS. 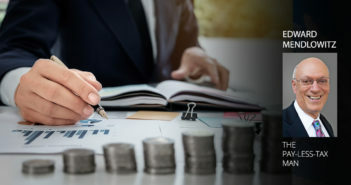 Employees who receive a per diem amount for overnight travel and meals do not need to substantiate their actual expenses for the IRS as long as the per diem amount does not exceed maximum IRS guidelines. Charitable contributions. 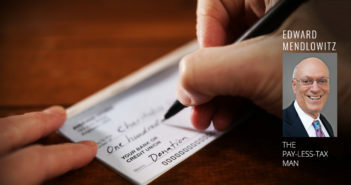 For charitable contributions over $250, a receipt must be obtained from the charity that indicates the amount received and the amount of any quid pro quo benefit. Written disclosures are also required for single payments over $75 if goods or services were provided. These receipts are in addition to proof of the payment. Gifts of property and household items valued over $500 must be accompanied by a receipt and a method of valuation and Form 8283 must be filled out where necessary and attached to the tax return. This form requires each item to be listed with recipient, how it was valued and the cost or adjusted basis. Items valued over $5,000 can be claimed only if there is a certified appraisal for the value. If you are contemplating such a donation, speak with a tax expert beforehand to assure your deduction will comply with the rules. 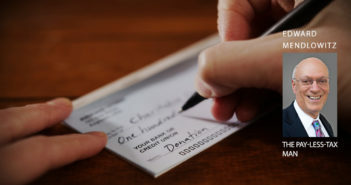 If single contributions of unreimbursed expenses of $250 or more are made, a written acknowledgement must be obtained from the charity describing the expense, whether there was any benefit and its value, and the amount spent. All receipts and acknowledgements from the charity must be received by the donor by the due date of the return filed claiming the deduction. Medical expenses. You need proof of payment and a bill indicating the service and who the patient was. 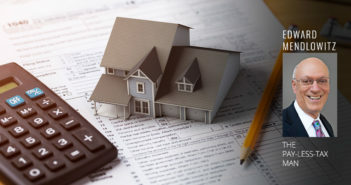 Mortgage interest and real estate taxes. Substantiation is provided by the mortgagor for the interest paid and municipality the taxes are paid to. If the mortgagor makes the tax payments, then its statement is sufficient. The identity of the owner must correspond to the person claiming the deduction. Capital transactions. 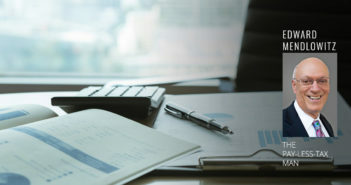 You must be able to substantiate the cost or other basis of security sales and other capital transactions. 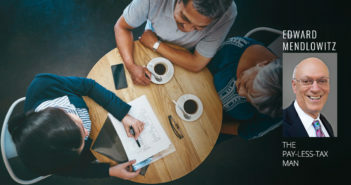 If there is a sale of inherited property, the basis can be substantiated by the estate tax return or a statement from the executor or administrator corroborating the basis. Rollovers and basis of pension and IRA accounts. 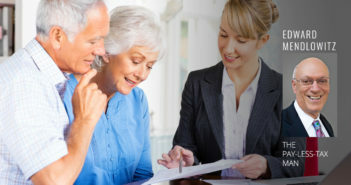 Documentation of the basis of nondeductible contributions and rollover transactions must be preserved in case of IRA audit. There are many other situations where proof of the deduction claimed must be provided to the IRS. Usually this occurs when there is an audit. 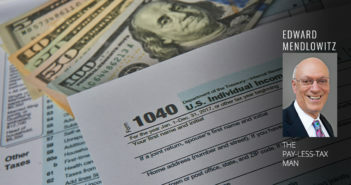 As far as the IRS is concerned, it is quite simple – if you claimed a deduction, you should be able to prove it. 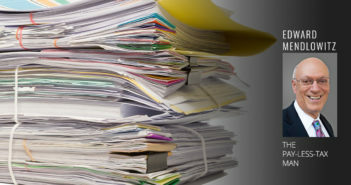 Do not lose valuable tax deductions because of sloppy record keeping or failing to obtain the proper substantiation.